Help to Work | Ipswich Unemployed Action. Government shakeout of welfare to work: what will it mean for benefit claimants? Thousands of jobs to go in government shakeout of welfare to work sector The Guardian (just now). Thousands of experienced employment coaches are expected to lose their jobs over the next few weeks as ministers trigger the first stage of a massive shakeout of the government-funded welfare to work sector that will see it shrink by 75%. The employment services industry is preparing for what one insider called “a bloodbath” as the Department for Work and Pensions (DWP) moves to replace the work programme with the much smaller work and health programme. In the November 2015 spending review the government announced that the current work programme, due to end in March 2017, will be replaced by a ‘work and health’ programme. Currently central government, through the Department for Work & Pensions, delivers the current work programme, which is a universal programme for the long-term unemployed. That has run for nearly five years and it will continue to run now until 31 March 2017. The aim of the new Work and Health programme is to shift the focus from what might be termed “orthodox unemployment” to people with physical and psychological barriers to employment. The work and health programme therefore will focus on the very long-term unemployed – two years-plus of unemployment – as one element of the client group and then another element, the health element, will be those citizens that have health barriers. Localism, integration and devolution are significant factors in the development of the new Work & Health Programme. The government is specifically talking about co-design and co-commissioning with certain authorities: Manchester, London, Sheffield, Tees Valley, the North East, Liverpool and the West Midlands, relating to devolution deals. DWP have today published more details about its commissioning model for its new Umbrella Agreement for the provision of Employment & Health Related Services (UAEHRS), the framework through which it will appoint providers for the new Work & Health Programme, as well as other potential DWP contracts. The UAEHRS will account for £1.77 billion of DWP spend on contracted provision over 4 years, although it is not clear how much of this will be allocated to the Work & Health Programme. The UAEHRS will be divided into 7 Lot areas, based on Jobcentre Plus operational boundaries, namely: Central England, North East England, North West England, Southern England, Home Counties England, Wales, and a national England & Wales Lot. It is not clear from this whether or not the two co-commissioned Work & Health Programme areas, London and Manchester, are included under the UAERS arrangement. It is equally unclear whether or not the proposed Lot areas will also be applied as the final Contract Package Areas for the Work & Health Programme. Only 5 providers will be accepted onto each regional UAEHRS Lot, although this may be extended if there is a tie-break for fifth place. Providers securing a place on two or more Lots will automatically be included within the national England & Wales Lot. The competition to select providers onto the UAEHRS will test providers against a number of criteria, including economic and financial standing, previous contract performance, supply chain management, service integration, implementation, delivery challenges, and stakeholder engagement. At the time of writing, the UAEHRS competition documents have not yet been released. This is, however, expected imminently, with a response deadline of the 9th November. Full details can be accessed at dwp.bravosolution.co.uk. Documents seen by the Guardian reveal that seven of the 15 work programme prime contractors, including big private sector names such as Serco and Maximus, have not made it on to the initial shortlist for the new scheme. The work and health programme shortlist, which is to be officially announced next week, begins a process in which the remaining eight work programme firms will compete with three new entrants for just six new regional contracts. The final outcome, expected when contracts are awarded in late spring, could result in some firms being forced to abandon the market, or diversify into other contracted out public service areas, such as criminal justice or apprenticeships. “This decimates the welfare to work industry. It represents the unravelling of nearly 20 years of unemployment support experience,” one industry insider told the Guardian. Work coaches provide long-term unemployed clients with help to acquire a range of employment and life skills designed to increase their chances of finding work, such as CV writing, IT skills and literacy, as well as liaising with potential employers. Thousands of work coach jobs are expected to be lost. “This means large job losses among really experienced frontline advisers, the majority of which are in charities,” said Kirsty McHugh, the chief executive of the Employment Related Services Association. The work and health programme is expected to start in the autumn and aims to provide specialist support for long-term unemployed people, especially those with health conditions or a disability. Funding will be about £100m a year over four years. This is about a quarter of the current annual spending on the work programme, which closes at the end of March, and work choice, which will continue for a few months longer. This is the bit which we’re particularly interested in. 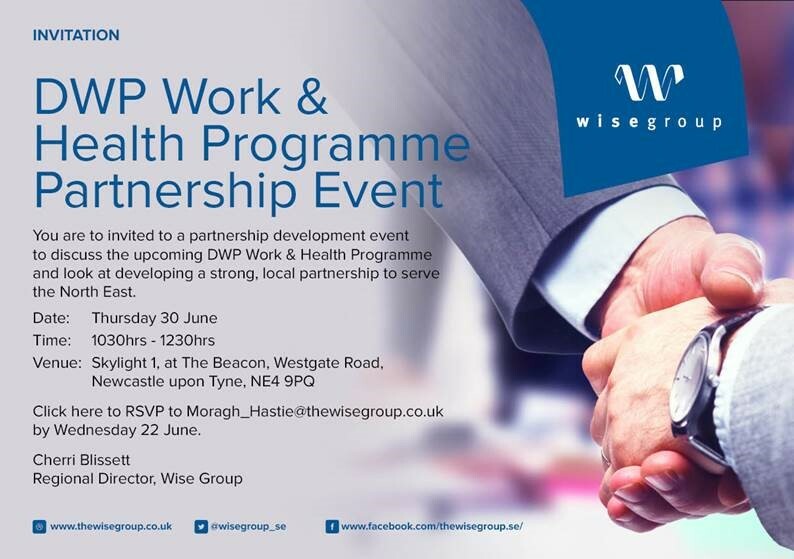 The work programme – which was launched in 2011 by the then secretary of state for work and pensions, Iain Duncan Smith – achieved mixed results and was fiercely criticised for the low numbers of disabled and chronically ill people it succeeded in supporting into work. It was also dogged by controversy over alleged misconduct by work coaches, and the high salaries earned by top executives. Emma Harrison, the founder of A4E, was criticised for paying herself dividends of £8.6m in 2011, on top of a £365,000 annual salary. Harrison, who had a brief spell as former prime minister David Cameron’s “families tsar” sold her personal stake in A4E to Staffline group in 2015 for a reported £20m. The relaunched company, PeoplePlus, is shortlisted in all six work and health programme areas. Industry insiders expressed surprise that Maximus – which has gained notoriety as the provider of the DWP’s controversial “fit for work” tests – failed to make the shortlist as it had been seen as one of the best performing work programme providers in terms of getting long-term jobless people into sustainable jobs. Much as we may weep at the fate of coachies and ‘providers’ we note an absence of information on what this latest scheme will mean for people who’ll be obliged to be on it. Will there still be obligatory ‘volunteering’, work ‘placements’ (free labour for employers and the ‘voluntary sector’) and the rest of the rigmarole? Will the usual ‘courses’ be on? We have no idea whatsoever. Welfare ‘Dependency’: Hard Right Keeps Up the Pressure to attack the less Well Off. Centre for Policy Studies Motto. The Centre for Policy Studies has a thing about ‘welfare dependency’. The influential right-wing think tank – which most people will not have heard of – want people to stand on their “own two feet”. Never mind that the Centre itself is headed by Baron Maurice Saatchi a man who made his money as a parasite in the ‘advertising industry’ , and is, well, you know, a ‘Lord’ in said House of, no doubt a position won by scrubbing floors and hewing coal. We strongly doubt if this level of detail would satisfy those supervising our Job Search: Transparency rating D.
The Government’s record in reducing dependency on the State is strong, but there is plenty more to do. Dependency has fallen by 2.7 percentage points since 2010, but over half of households still receive more in benefits (including benefits in kind) than they pay in taxes.Welfare reform appears to be reducing dependency. 19% of households subject to the benefit cap were in work after a year. Children growing up in workless households have, on average, poorer key stage 1 attainments, lower cognitive ability and are more likely to be NEET. New Government must continue incentivising work by reducing marginal tax rates and carefully evaluating the National Living Wage policy. Anybody using the ‘verb’ ‘incentivising’ deserves a week-long course for those with language difficulties. Boiled down what the Centre – remember a group with real influence on government policy – is suggesting is more benefit caps, more dependency on dodgy employers and charity and fewer rights at work and on benefits. This article tackles the core assumption of the Centre: that redistribution of wealth from the rich, and the better off, to the less well off, and using benefits to help people stand on their own two feet, is wrong. The Centre for Policy Studies (CPS) has issued an Economic Bulletin ‘The Independence Revolution Must Go On’, based on figures from a recent Office for National Statistics publication ‘The effects of taxes and benefits on household income’. The ONS figures show that “over half of households received more in benefits (including benefits in kind) than they paid in taxes for the year 2014/15…It is estimated that 50.8 per cent of households are net dependents”. The closer one looks at these figures, however, the more questions arise about how we define dependency, who actually benefits from benefits, and how we think about the redistribution of wealth. The CPS views the ONS figures largely in terms of ‘welfare dependency’, concluding that, “The Government’s record in reducing dependency on the State is strong, but there is plenty more to do.’ It even takes the opportunity to mention that “children growing up in workless households …have, on average, lower cognitive ability.” saying that, “This highlights the social cost of welfare dependency and need to reduce welfare dependency in society.” Even ‘the so-called ‘intergenerational transmission’ of worklessness’ gets a mention. But wait a minute – as the CPS itself has just pointed out, over half of UK households are classed as ‘dependent’ because they are deemed to receive more from the state than they pay in. ‘Worklessness’ is a factor in only a fraction of those households. There is much more going on here. It’s a long article but well worth reading: more here. More welfare reform, which will no doubt reduce this redistributive impact even further, seems destined to produce not independence, but increasing poverty and destitution. 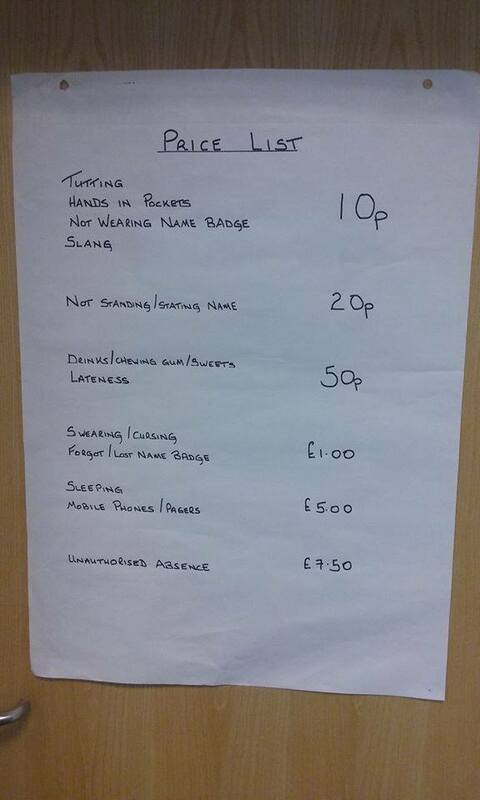 Strive ‘Training’ Scheme that Fines 10 for a ‘Tut’ Under Investigation but Workfare Abuse Continues. A NORTH Ayrshire Council scheme designed to help out people who are searching for work has been lambasted for fining people who attend it for as little as tutting or having their hands in their pockets. And the Department of Work and Pensions has now suspended referrals to the STRIVE programme pending investigation into the workings of the fines system. North Ayrshire Council have hit back at the claims and have backed their programme but one person who attended the course, who wishes to remain anonymous, has hit out at the fines system and explained what it is like. JOB seekers in Ayrshire are worried they might be sanctioned for tutting. It comes as details emerge of a controversial “job readiness” programme that fines those taking part for as little as chewing gum and having their hands in their pockets. The Department for Work and Pensions yesterday suspended referrals to the STRIVE programme in North Ayrshire while it investigated the claims. The Lennox Partnership, which operates the programme, also runs similar courses with similar fines for West Dunbartonshire and Renfrew councils. It has also been asked to deliver the course four times nationally for service provider Ingeus, although no fines are involved in those courses. Fines start off as little as 10p for tutting, or having hands in pockets, but can rise up to £1 for swearing or £5 for using phones. One job seeker told our sister paper, the Ardrossan and Saltcoats Herald, that the fines had even left one of his fellow course mates in debt. “Now most of these fines are really cheap for things like hands in pockets etc … but checking your phone or having it go off outside of break time is an instant £5 fine and if you don’t pay it on the spot you get kicked off the course … and since the Job Centre sent me there, getting kicked off the course is an instant sanction. The Lennox Partnership insisted that non-payment of a fine would not lead to sanctions, and said no one on the programme has been sanctioned. A spokeswoman for the partnership said: “The fine system replicates behaviours that would not be acceptable in most workplaces and is utilised as a preventative measure to change those behaviours, which could subsequently impact on clients both securing and sustaining work. Unemployed people taking part in STRIVE must wear “business dress”, and, according to the Lennox Partnership’s website, obey: “the same rules / disciplines that would be expected during a probationary period in a new job”. The aim of the course is to “empower participants and develop the soft skills, the attitudes and behaviours that employers in the job market are seeking”. STRIVE fines were all part of the “learning process”, she said. “The ‘fine’ system is used as a preventative measure to change behaviours and instil a professional attitude that employers will be impressed with. The Void has looked at the scandal. You can tell the Lennox Partnership what you think of this vile practice on twitter @TheLennoxP. The Department of Work and Pensions (DWP) insists it is a voluntary scheme known as a “sector-based work academy”, which offers benefit recipients a chance to gain work experience with the possibility of a job at the end. However McGregor, who has eight years’ experience working in the care sector, said he felt he was being “railroaded” into taking part in the scheme, which is taking place at Kyle Court and Hillside View Care Homes in Paisley. A letter sent to him states in certain circumstances benefits may be stopped if the claimant, without good reason, does not “take the opportunity of a place on an employment programme or training scheme”. McGregor said he refused to participate in the scheme as a matter of principle and that he was only promised a “one-to-one” interview at the end of the scheme. He said: “I went on a people handling course for one day, then I was meant to start and do a 36-hour week for six weeks without any pay, apart from my unemployment money. “I used to earn £110 a night for a 12-hour shift, but they are expecting me to do 36 hours for £73.10, it is absolutely shocking. “You are looking after people who are vulnerable – such as taking them to the toilet. “I have no qualms about the job, I did that job for years, but I want to be paid for it. He added: “They didn’t ask what days would suit you, it was basically you were to work to their rota. Sarah Glynn, of the Scottish Unemployed Workers’ Network, said they were against the principle of anyone being made to work for their benefits. “A lot of things are branded as work experience and they are not, they are free labour,” she said. “Do you need work experience stacking shelves? That is not work experience, that is exploitation. “It is affecting the whole labour market as these are jobs that people should be paid for. Glynn said she had made a complaint to the Care Inspectorate over the scheme, which confirmed the issue had been raised and information was being carefully assessed. The DWP said all participating claimants had to meet eligibility criteria including identification and disclosure checks, references and a successful application form and interview to ensure they were suitable for working with elderly and vulnerable people. It confirmed that once participants agreed to take place in a DWP “sector-based work academy” they could risk being sanctioned if they failed to meet conditions. These can include a failure to meet “basic standards of good behaviour”, according to the letter sent to McGregor. Is it just because my dad was Scottish but is it true that because the Scots are pretty stroppy and likely to complain that these scandals come out so quickly? I would bet there’s plenty going on in the rest of the country. Benefit Sanctions Saga: MPs Call for Independent Review. With so many controversies about welfare cuts, Iain Duncan Smith throwing a wobbly, and the new religious bigot in charge of the DWP, this has tended to pass beneath the radar. Our own opinion is that there is no need for any ‘review’ of this system: it should be got rid of immediately. Along with the ‘Help to Work’ programme, notably the ‘Bullies’ Charter’ that can oblige claimants to attend the ‘Jobcentre’ every day, send them out of ‘community service’ (workfare), and have intensive ‘Jobcentre’support’ from the amateur psychiatrists and other odd-balls they have to undertake this task. MPs call for full independent review of benefit sanctions. The Committee reiterates this recommendation, originally made in January 2014 but rejected by the Government, in the light of new evidence which raises concerns about the approach being adopted in a number of individual Jobcentres, and more broadly, including concerns about whether targets for sanctions exist. The report calls for the independent review also to examine the legislative framework for benefit sanctions policy, to ensure that the basis for sanctioning is well-defined, and that safeguards to protect the vulnerable are clearly set out. A system of discretionary hardship payments exists to mitigate the risk of sanctions causing severe financial hardship. However, the Report concludes that changes are required to the system, to ensure that it is more effective in achieving this. In particular, the report emphasises widespread concern that standard JSA (Jobseeker’s Allowance) hardship payments are not available until the 15th day of a sanction period. “Recent research suggests that benefit sanctions are contributing to food poverty. No claimant should have their benefit payment reduced to zero where they are at risk of severe financial hardship, to the extent of not being able to feed themselves or their families, or pay their rent. DWP’s (Department for Work and Pensions) discretionary hardship payment system is intended to prevent this happening, but it does not always do so. This is often because JSA hardship payments are not available until the 15th day of a sanction period. It is not reasonable to expect people to live without any source of income for 2 weeks. DWP should make all hardship payments available from day one of a sanction period. The report notes that DWP currently investigates all deaths of benefit claimants “where suicide is associated with DWP activity”, and in other cases where the death of a vulnerable benefit claimant is brought to its attention, through a system of internal “peer reviews”. Since February 2012, DWP has carried out 49 peer reviews following the death of a benefit claimant. DWP has stated that 33 of the 49 cases have resulted in recommendations for change at either local or national level. However, it was unable to confirm in how many cases the claimant was subject to a benefit sanction, or provide any details about how its policies or procedures had been altered in response to the death of a claimant. “We have asked DWP to confirm the number of internal peer reviews in which the claimant was subject to a benefit sanction at the time of death, and the result of these reviews in terms of changes to DWP policy. It is important that all agencies involved in the provision of public services are scrutinised, to ensure that lessons are learned after members of the public are let down by the system, particularly where the failures of a public body may have contributed to a death. The Committee finds that more “active” regimes, in which unemployed claimants are required to do more to find work, have been shown to be relatively effective; however, evidence on the specific part by played by financial sanctions within successful active regimes is limited and far from clear-cut. The report calls for a series of evaluations to increase the evidence base, particularly around the efficacy and impacts of the new sanctions regime introduced by the Welfare Reform Act 2012. “The Government introduced longer minimum sanction periods without first testing their likely impacts on claimants. The minimum sanction period is now four weeks, rather than one week. It is important that the impacts of the new sanctions regime are properly evaluated. There is currently no evidence on whether the application, or deterrent threat, of a four-week sanction makes it more, or less, likely that a claimant will engage with employment support or gain work. The Oakley Review of Jobseekers Allowance (JSA) sanctions in relation to Back to Work Schemes, published in July 2014, made a number of recommendations aimed at improving some aspects of the sanctions system. This has already led to welcome changes, including improvements to DWP’s information to claimants about the sanctioning process, and the clarity of its claimant letters. However, a number of the Oakley recommendations are yet to be fully implemented, in part due to the requirement for legislative change and/or contractual negotiations with Work Programme providers. The Committee believes that DWP should take more urgent steps to fully implement the outstanding recommendations. “DWP must take a more common-sense approach to mandatory Work Programme activity and sanction referrals. For example, it makes no sense, and is a considerable waste of administrative resources, for Work Programme providers to have to refer a claimant back to DWP for a sanction decision, even where they know that the claimant had a perfectly good reason for not meeting a particular requirement. In the negotiations to re-let the Work Programme contracts in 2017, DWP should prioritise the development of a more flexible approach to the setting of mandatory conditions. Help to Work a Failure. As many of us are on schemes for the unemployed, not to say long-term unemployed, and know the insides and outsides of these programmes all too well, this comes as no surprise. Before reading it bear in mind that the prospect of adding cognitive behavioural therapy to the list of tortures – which include having to listen to people unable to provide any actual offers of work – they make us undergo is becoming more and more probable. The picture above, of somebody forced to attend the Jobcentre every single day, and workfare, illustrates why people hate the system as well. Newly released government figures show that Help to Work, its flagship welfare-to-work programme for the long-term unemployed, has only seen one in five of the people referred to it progress into even remotely secure jobs. Help to Work, which includes three intensive schemes, was launched in April 2014 as a compulsory programme for those who had been unemployed for more than two years. But figures published yesterday by the Department for Work and Pensions reveal that of the people referred to Help to Work between April and December 2014, less than half – just 44 percent – went on to spend any time in work at all during the year following their referral. Thirty percent went on to complete at least 13 weeks in work, and barely 20 percent made it to 26 weeks of work – half a year – in the year after their referral. In other words, four in every five people referred onto the scheme did not progress to even medium-term work. It is the first time the DWP has published data on the amount of time spent in work by those on the Help to Work programme. The statistics exclude those who became self-employed, but the figures are nevertheless dire. The three schemes saw tens of thousands of people forced onto them between April 2014 and December 2015 – 80,000 on Community Work Placements, 47,000 on Daily Work Searches, and nearly 100,000 on the Mandatory Intervention Regime (which can include people who completed one of the two other schemes). But nearly two years on from their launch, all three schemes are failing to have a meaningful impact. Under both the Mandatory Intervention Regime and the Daily Work Search Review, around 45 percent of the referred claimants found any paid work (excluding self-employment) in the year after their referral. About 30 percent found 13 weeks of work, and one in five found six months of work. The worst performance, however, was in the Community Work Programme. Given that this includes six-month placements, it is perhaps unsurprising that only 18 percent of claimants had time to fit in an additional six months of paid work in the year following their referral. But barely a quarter completed 13 weeks in paid work, and less than two in five of all claimants undertook any paid work at all, excluding self-employment. The Community Work Programme is the only one of the Help to Work schemes that is delivered by private companies – and their performance has been terrible. Just one of the 18 regional contracts met its target for “short completions” in 2015 – that is where a claimant completes between 12 and 21 weeks of employment after being on the programme. Just three of 18 contracts met the target for “long completions” – between 22 and 26 weeks of employment – with ten contracts falling well short of expectations. Six of the 18 contracts met the target for job outcomes, where claimants found more than 26 weeks of work. Seven companies hold the 18 contracts between them – led by G4S with six and Seetec with five. Ten of the contracts – more than half – missed every single target. The DWP conducted a fully-fledged pilot scheme in 2013, which was widely seen as a failure – almost as many people who undertook the pilot help to work schemes were still on benefit two years later as those who’d had no support at all. Despite this, the government decided to bring forward implementation of the full Help to Work scheme. Interestingly, the programme was expected to cost £300m a year, but has in fact come in at £190m in 2014/15 and £230m in 2015/16. This may be because the private companies on the Community Work Programme were paid by results – an initial payment for claimants starting a community work placement, but further payments only if employment outcomes were met. The failure of so many providers to meet their targets may have reduced the scheme’s cost – although the annual burden on the taxpayer remains in the hundreds of millions. The government announced last year that the Community Work Programme would be abolished from 2017 along with the controversial Mandatory Work Activity programme, which is outside the Help to Work scheme. These will be replaced by a new scheme, the Work and Health Programme, targeted at both disabled people and the long-term unemployed. The conflation of health and work is likely to be the source of ongoing controversy. Work and Health Programme: Will it Treat the Unemployed as “ill”? Is this what the DWP Plans? The Mirror raises issues about the new scheme that is to replace the failed Work Programme, notably Mandatory Work Activity and Community Work Placements. The new one is called, The Work and Health Programme. Its aim is to help long-term sick people find a job, but a DWP spokesman could not confirm whether it will involve forced labour because the details have not yet been drawn up. Ms Long (of Boycott Workfare) said: “We’re concerned about any trend towards making unemployment look as if it is a symptom of mental illness rather than a symptom of the economy. Iain Duncan Smith said in a statement: “Our welfare reforms are fundamentally about delivering greater opportunity through life change: supporting everyone who is able to work to do so, while at the same time maintaining the valuable safety net for those that need it. Now we are well aware of schemes to treat the unemployed as “ill”. The Mirror report indicates that the long-term sick will be on the same programme as everybody else. What exactly is the ‘Health’ part of the scheme for those who are healthy? What is this “life change” Iain Duncan Smith mentions? June 26th this year: Mental health workers protest at move to integrate clinic with jobcentre. And more here: Counsellors in Jobcentres or Agents of Social Control ? It’s time to make a stand, I am not the only therapist who is concerned that individuals who are claiming benefits may be forced to undergo therapy or be sanctioned. The government announced in March’s budget an, “Integrated employment and mental health support to claimants with common mental health conditions”. 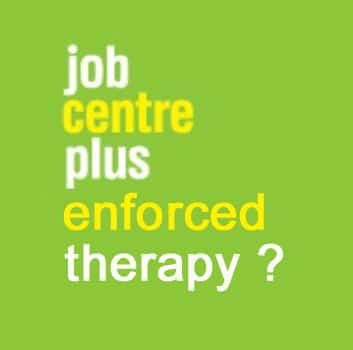 This “initiative” will see therapists from the NHS’s Improving Access to Psychological Therapies (IAPT),) “co-locate” to more than 350 jobcentres. As anxiety about the Work and Health Programme grows (no doubt abated by the Little Book of Calm and aromatherapy), we need to know the details. DWP Publishes Death Statistics: 80 Average a Month Die After Being Declared “Fit for Work”. Iain Duncan Smith, still “Fit for DWP Work”. The Department for Work and Pensions has admitted defeat in its attempt to hide the number of people who have died while claiming incapacity benefits since November 2011 – and has announced that the number who died between January that year and February 2014 is a shocking 91,740. This represents an increase to an average of 99 deaths per day or 692 per week, between the start of December 2011 and the end of February 2014 – compared with 32 deaths per day/222 per week between January and November 2011. The DWP has strenuously asserted that “any causal effect between benefits and mortality cannot be assumed from these statistics”. Read more on Vox Political. Campaigners demand welfare overhaul after statistics reveal 2,380 people died between 2011 and 2014 shortly after being declared able to work. More than 80 people a month are dying shortly after being declared “fit for work” according to new data, prompting campaigners to call for an overhaul of the government’s controversial welfare regime. Statistics released by the Department for Work and Pensions on Thursday show that 2,380 people died between December 2011 and February 2014 shortly after a work capability assessment (WCA) found they were able to work. The administration of the WCA by officials has been widely criticised as crude and inaccurate by campaigners. There have been hundreds of thousands of appeals of fit-for-work decisions over the last few years, about four in 10 of which have succeeded. But there was widespread acceptance that the data should be treated with caution. Because the cause of death was not recorded, it is impossible to show whether a death was linked to an incorrect assessment. Of this number, 2,380 – or 4% – had received a decision that they were fit for work, meaning that they were at risk of losing their ESA benefit. Of the 50,580, 7,200 claimants had died after being awarded ESA and being placed in the work-related activity group – a category which aims to identify claimants who are unfit to work but may be able to return to work in the future. Tom Pollard, policy and campaigns manager at mental health charity Mind, said: “We’re not able to comment on these specific statistics as they only tell us the number of people who have died while on employment and support allowance [ESA], not the circumstances or details of these deaths. “Nevertheless, we do have serious concerns about the benefit system, particularly for those with mental health problems currently being supported by ESA. “The assessment used to decide who is eligible for ESA does not properly take account of the impact having a mental health problem can have on someone’s ability to work. As a result, many people don’t get the outcome that’s right for them, and have to go through a lengthy and stressful appeals process. Official Files: Mortality Statistics: Employment and Support Allowance, Incapacity Benefit or Severe Disablement Allowance. You can read the report: here.